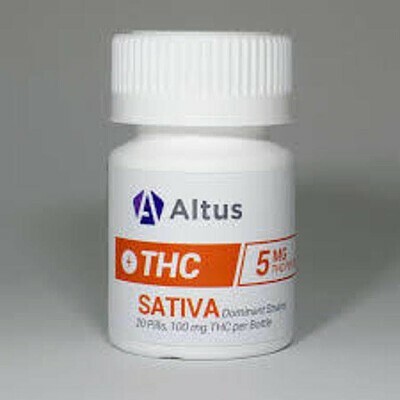 Altus Labs proudly offers its THC Sativa Pills infused with 100 mg of premium THC extract. A package contains 20 pills with 5 mg of Sativa THC in each pill, making this a perfect solution for those in search of happier and easier days. Take one or two to smooth over those edges, to mute pain, and to uplift your mood. These THC Sativa Pills won't render you immobile, but they will render you happy and euphoric from your head to your toes.